Buckingham Palace serves as both the office and London residence of Her Majesty the Queen. It is one of the few working royal palaces remaining in the world today. For a limited time each summer when the palace is not being used in its official capacity, visitors are welcomed to walk in the footsteps of the Queen and explore the nineteen lavish State Rooms which form the heart of the working palace. These are opulently decorated and furnished with the finest treasures from the Royal Collection. You’ll explore the State Rooms with a multimedia guide so you can enjoy this at your own pace. At the end of your tour, you’ll walk along the south side of the Palace garden, where you’ll meet your guide before the next part of your Royal journey. 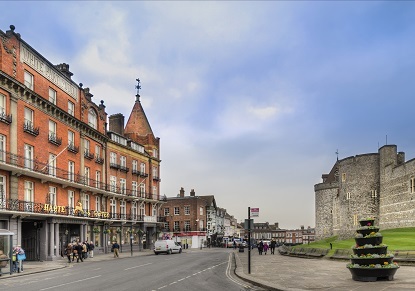 You’ll board your luxury coach and take a short journey to Windsor, where you’ll enjoy a delicious 2-course hot lunch at the neighbouring Harte & Garter Hotel, before exploring the world’s largest occupied castle. Windsor Castle has been home to the Royal family for over 900 years. You’ll explore the castle grounds and the magnificent fourteenth-century St. George's Chapel, one of the most beautiful examples of medieval church architecture in England and a burial place of kings and queens, including Henry VIII. A visit to the castle includes the exquisite State Apartments, St George’s Chapel and Queen Mary’s Dolls’ House. 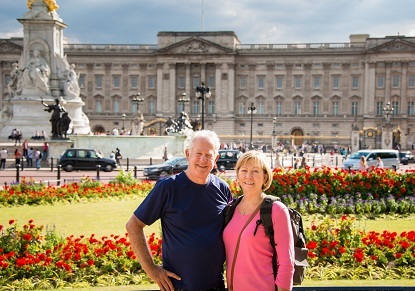 Entrance to Buckingham Palace State Rooms, Windsor Castle, and lunch at the Harte & Garter Hotel Windsor is included in the tour price. Multimedia audio guides are available at both Buckingham Palace and Windsor Castle - available in the following languages: English, French, German, Spanish, Italian, Japanese, Brazilian Portuguese, Russian and Mandarin. As a working royal palace, Windsor Castle is used frequently by The Queen for State ceremonies and official entertaining and opening arrangements may change with no notice. 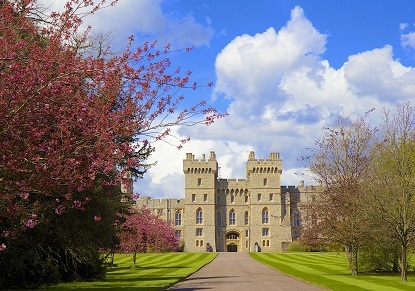 Tours due to visit Windsor Castle on these days will instead visit Hampton Court Palace and Gardens, home to Kings and Queens of Britain since Henry VIII. 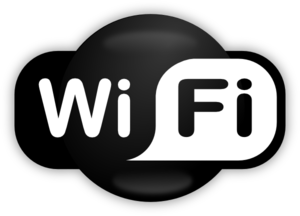 Service rating : Booking online from Australia was simple and fast. Service rating : The tour guide was great! She had a good sense of humour, was very understanding and patient and 'mothered' us in the sweetest way. Thank you. Will definitely recommend you to others, and will look in the future to other tours you offer for myself. Service rating : Your People did a great JOB!!!! Product : Great Tour, I am so Happy we decided to go to the tour, we had a great time and our tour person was amazing! !